New York. Santa Fe. Chicago. Some of America's largest cities say they are going to remain so-called sanctuary cities even though they risk being cut off financially by the federal government once Donald Trump takes office. As part of his immigration plan, President-elect Trump has pledged to block federal funding to these cities within his first 100 days. Sanctuary cities generally have laws or policies in place that limit how much local law enforcement cooperates with federal immigration officials when it comes to searching for and detaining undocumented immigrants. "Block funding for sanctuary cities. We block the funding. 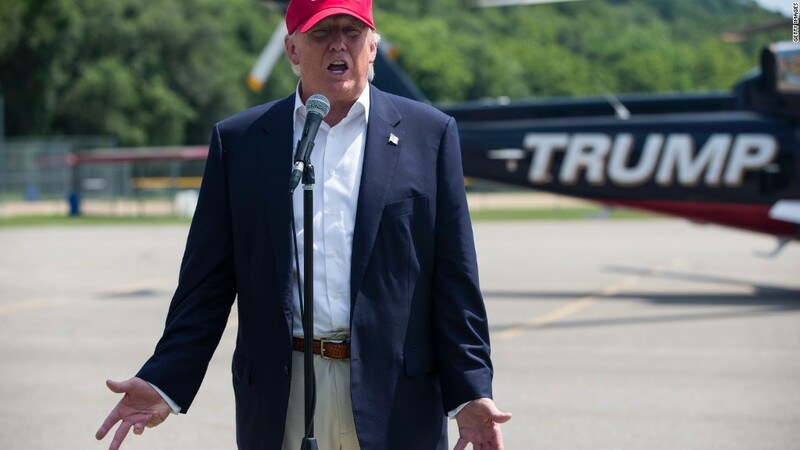 No more funding," Trump said in August when he laid out his immigration plans at a rally in Phoenix. "Cities that refuse to cooperate with federal authorities will not receive taxpayer dollars." Should Trump carry through on that pledge, his home city of New York could stand to lose close to $10.4 billion in federal funds, according to budget documents sent from the City Council Speaker's office. Among some of the biggest recipients of federal funds in the city are the Department of Social Services, the New York City Housing Authority and the Administration for Children's Services. New York is a sanctuary city and it has laws in place that protect undocumented immigrants accused of low-level nonviolent offenses -- like traffic stops or jumping a subway turnstile -- from being turned over to U.S. Immigration and Customs Enforcement. Those who commit serious felony offenses, such as murder or assault, however, are not shielded. Related: What is a sanctuary city? The day after Trump was elected, New York mayor Bill de Blasio was asked at a news conference how he'd respond to Trump's plan. "We're not going to tear families apart. So we will do everything we know how to do to resist that," he said at the time. "We're going to push back like hell. I've been clear, our mayor has been clear and our governor has been clear that we're going to protect our values," New York City Council Speaker Melissa Mark-Viverito told CNNMoney. Santa Fe stands to lose about $6 million in federal funding, or about 2% of its annual budget, city officials said. Nevertheless, Mayor Javier Gonzales has pledged to stand by his city's sanctuary status. "The loss of federal funds would be certainly devastating, but we're not going to compromise our values. We'll have to find our way through it and we will," he told CNNMoney. Most of the city's economy is driven by tourism, which brings in about $1.4 billion a year, city officials said. "The new immigrant provides a critical supply of labor and skill sets that are needed to meet the ongoing demand of a healthy tourism economy," said Gonzales. "They're participating in our schools and are part of our labor force, they're going off and fighting for our country." Gonzales advised Trump and Congress to look back at what Ronald Reagan did with immigration as president and make reforming the broken immigration system a top priority. 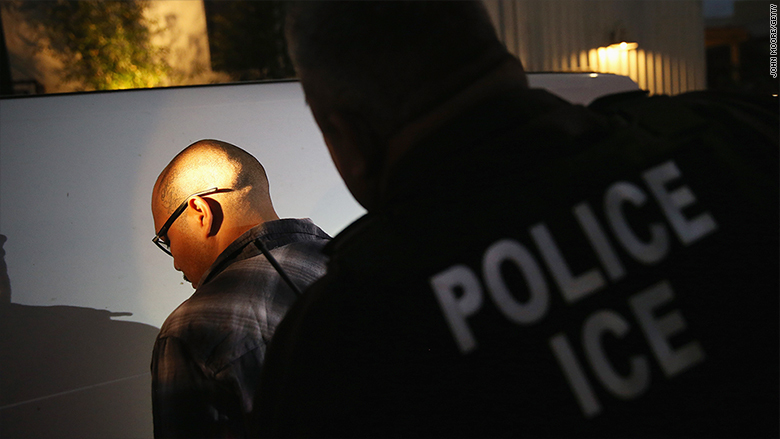 A man is detained by Immigration and Customs Enforcement agents in Los Angeles, California. "When you do that, this idea of penalizing or criminalizing people who are living here lawfully, for the exception of a broken federal immigration system, goes away and makes it much easier for us to move forward as a country," he said. The Department of Homeland Security said it has been focusing its efforts to be more in line with those of the sanctuary cities. "Many law enforcement agencies, including some large jurisdictions are now once again cooperating with ICE," Homeland Security press secretary Sarah Rodriguez said in an emailed statement. She said the Department's new Priority Enforcement Program "focuses enforcement resources on convicted criminals and individuals who threaten public safety and national security, while also taking into account important community policing needs." Mayors from other sanctuary cities, including San Francisco, Baltimore and Chicago are also standing their ground. Days after Trump's election, Chicago's mayor Rahm Emanuel said in a press release there was "a sense of uncertainty among many immigrant communities in Chicago and across the nation." He reiterated that Chicago would remain a sanctuary city and said the city's 311 operators had been given special training to answer people's questions. "Chicago has been a city of immigrants since it was founded. We have always welcomed people of all faiths and backgrounds, and while the administration will change, our values and our commitment to inclusion will not," he said. "We've heard from many mayors -- Mayor Garcetti, from L.A., Mayor Emanuel from Chicago -- saying that they are going to stay sanctuary cities," said Santa Fe's Gonzales. "It's a human rights issue and ultimately what makes America great is that we've always stood on the side of human rights."